The exhaust system is an important component of the construction of cars. It increases the comfort of travelling, and at the same time allows the engine to work properly and contributes to reducing the number of harmful substances emitted by the car. 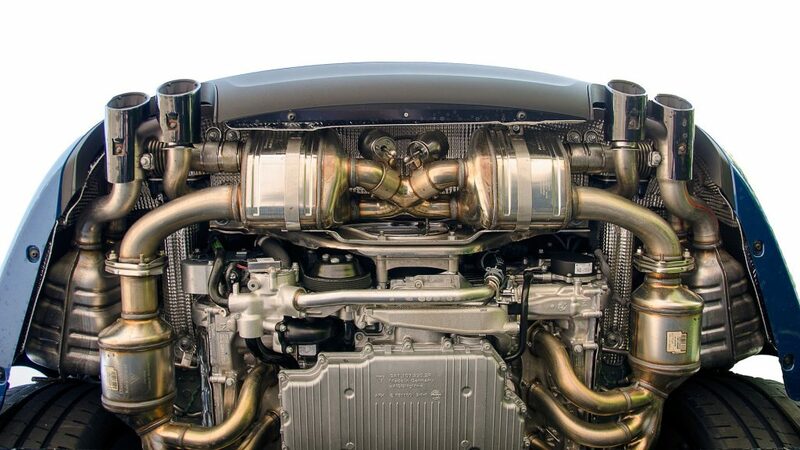 The main elements of a car exhaust system are exhaust manifold, muffler, exhaust pipe and exhaust fitting accessories. At present, the exhaust system has been additionally equipped with a catalytic converter with a lambda probe. Modern diesel engines have also a DPF filter. These basic elements consist of many different elements necessary in the construction of the exhaust system. Without them this system could not work. The exhaust manifold is the first important element. It is attached directly to the engine block and responsible for collecting exhaust gases from several adjacent engine cylinders. It leads them to a common pipe. To this wire can be connected with turbocharger drive nozzle in turbocharged engines. The oxygen sensor is a sensor that measures the oxygen content in the exhaust gas. It is placed in the exhaust system before and after the catalytic converter. It’s task is to examine the composition of exhaust gases. Based on the lambda sensor readings, the microprocessor controls the fuel dose in such a way that the exhaust composition is as close as possible to the optimal one. The catalyst is another element of the exhaust system. It uses chemical reactions to reduce harmful gases by converting them into carbon dioxide, water vapour and pure nitrogen. Further elements of the exhaust system are mufflers connected to the catalyst by pipelines. Usually, there is one or two silencers in a row. One of them is an absorption silencer responsible for suppressing high frequencies of sound (above 500 Hz). Therefore, it is not sufficient and it is used together with other silencers in a combined silencer, which is responsible for attenuation of sound at a wide frequency range. It is also possible to use other combinations of these two types of mufflers. In modern Diesel engines, there is also a DPF filter. It served for capture harmful particles found in the exhaust. These particles are deposited in the filter, and thanks to the self-cleaning process, they are automatically removed from it. The self-cleaning of the filter consists in applying an extra dose of fuel at the moment of expansion. This causes the temperature in the filter to raise enough to burn the accumulated soot. The most important assembly and exhaust fitting accessories are rubber hangers, gaskets and rings, metal fasteners, springs, clamps, bolts and nuts, flexible connectors, flange joints and repair elements. There are many exhaust elements depending on the brand of cars, trucks, or other vehicles, such as excavators, ploughs, building machines, etc. guaranteeing the highest possible temperature of the fumes through minimal thermal radiation. Flue gas discharge and noise reduction are tasks that have been in force since the very beginning of vehicle construction. Other tasks appeared gradually as automotive technology developed and engine performance increased. On the other hand the introduction of more and more stricter regulations in the scope of environmental protection against pollution contained in car exhausts was not without significance. The exhaust system is part of the car’s construction, which does not require service during the entire period of its durability. On the other words there is also no specific time to replace the exhaust system. Reason is a system whose durability depends on the environmental conditions of its operation. The symptoms of exhaust system damage are usually the louder running of the engine or the knocking under the vehicle. This second symptom may indicate broken holders or damage to the catalyst. In some cases, it is also possible for the smell of exhaust gases to appear inside the car. These defects can be easily noticed by the driver. It should be repaired as soon as possible. damage to the catalyst or even the engine. The car exhaust system consists of many parts. Starting with main ones and finishing on minor (but not less important) ones, like exhaust fitting accessories. Only all parts together allow the proper and safe car usage for people and the environment. Regardless of whether you drive a car, truck or another vehicle, you should remember that if you notice or hear the wrong work of the system, you should respond quickly. Orion est un fournisseur spécialisé de composants de montage pour les systèmes d'échappement. Nous offrons tout ce qui est nécessaire pour leur installation. Nous fournissons des composants pour les plus grands distributeurs en Pologne et à l'étranger sous le nom de marque Orion, et les clients de marque privée.